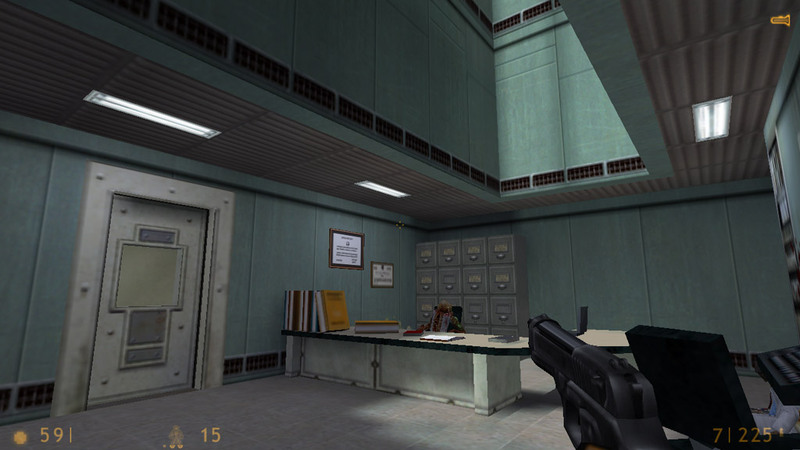 This maps tries to bring a different ending for the Half-Life game when you reject the offer of the G-Man. After you decline the G-Man offer he arrests you and puts you on a train to be transported to a base where your memory will be erased and converted to a cooperative member. In the middle of the journey you will be transferred to an Osprey to conclude the transfer to that base. It is here that the maps take place. When you arrived, something happens and you hear some aliens and a battle going on. You realize that the aliens invaded this facility too. You manage to escape using the distraction of your guard and now you have to get to the Osprey so you can escape.. 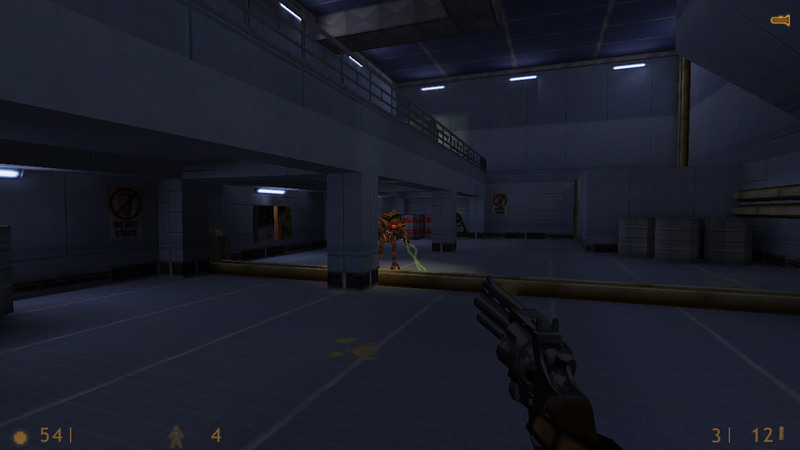 Copy the davtrain folder into your Half-Life folder. DAV Train should now be listed in your Library tab. I’ve edited the link above to point towards the correct file. Thanks andyb for adding the links in this and lots of other maps. Would you be interested in getting admin status to edit the links directly? was a fun short mod. Not one of DAV’s highlights but very nice indeed and sure worth a play. I definitely enjoyed this more than the previous DAV release but in many ways it still resembles it: Great gameplay – average visuals. The start is novel and I was hoping for a longer area of train but that’s okay, perhaps testing found longer trains weren’t that exciting. The rest is BM style stuff with a really nice central area that was used twice but never got me excited. The final push certainly got my heart beating but I don’t really understand why I got the rocket launcher at the end. I didn’t seem to need it. Anyway, a fun 30 minutes spent playing this, and I recommend you make time to play it too. The rocket launcher got me wondering too, so I went back to that bit got it and went back to the Garg. The rockets and a few grenades totalled him, which makes me think the original idea was a showdown with him but never implemented. Also in the guardroom you can activate ceiling turrets which may have been meant to finish him off. Well its just a theory! Yeah, I activated those ceiling turrets and thought the same thing, but he never followed me. 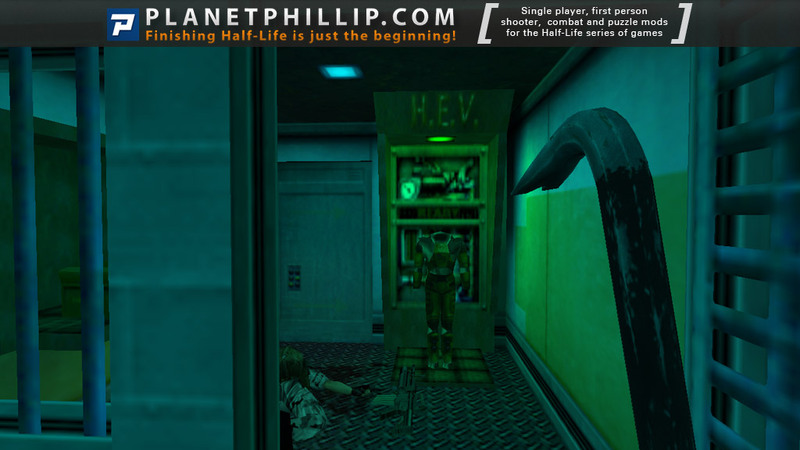 This was the first mod i’m played after finishing the original Half-Life. The train section was exciting, ant the rest of the mod was nice too, resembling the Black Mesa environment. Recommended, DAV is (was?) a great modder. 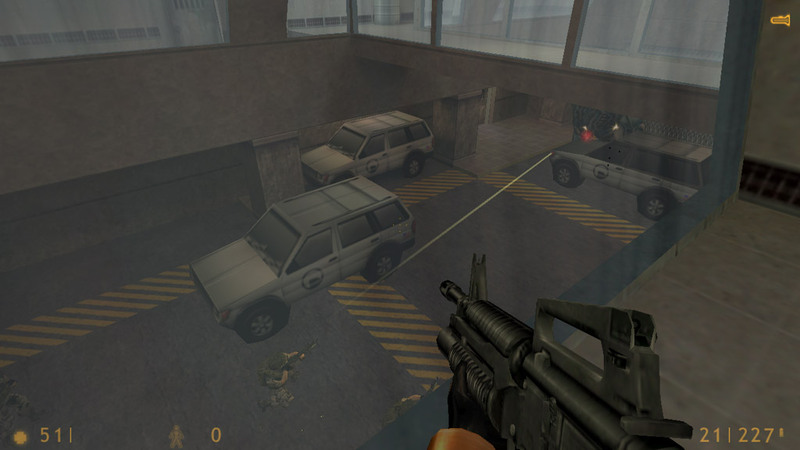 Freeman declined G-Man’s offer, and G-Man took him to the brainwashing centre. 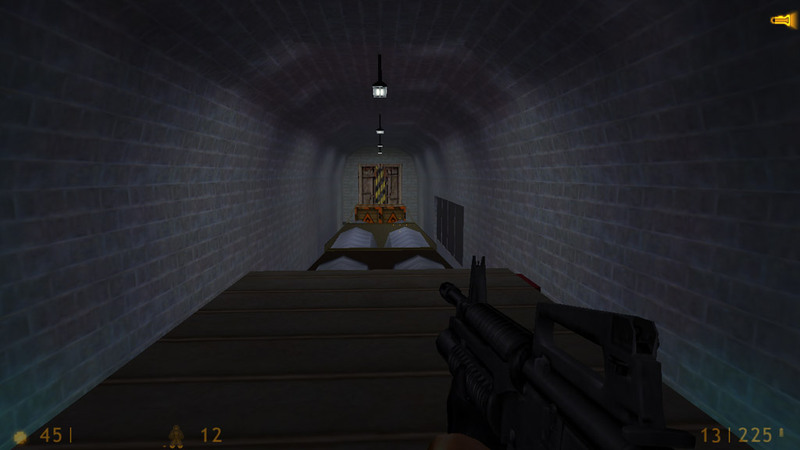 But monsters attacked the train and, thanks to the confusion, Freeman managed to escape. 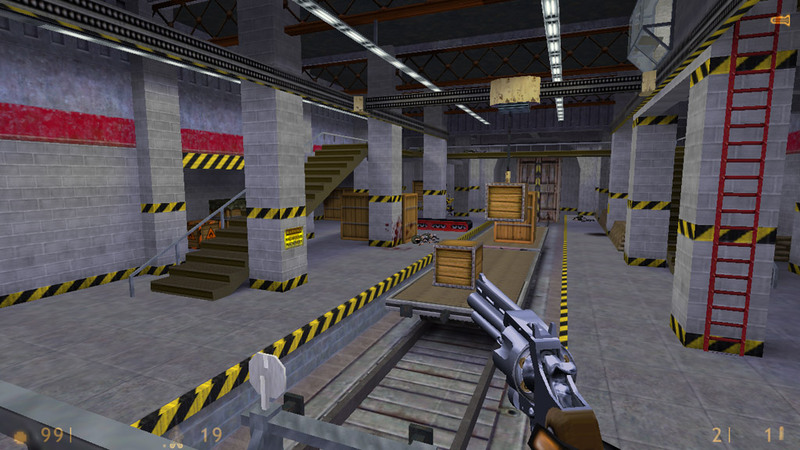 The beginning reminds of Derailed level from Kingpin – railway carriages standing on the track. 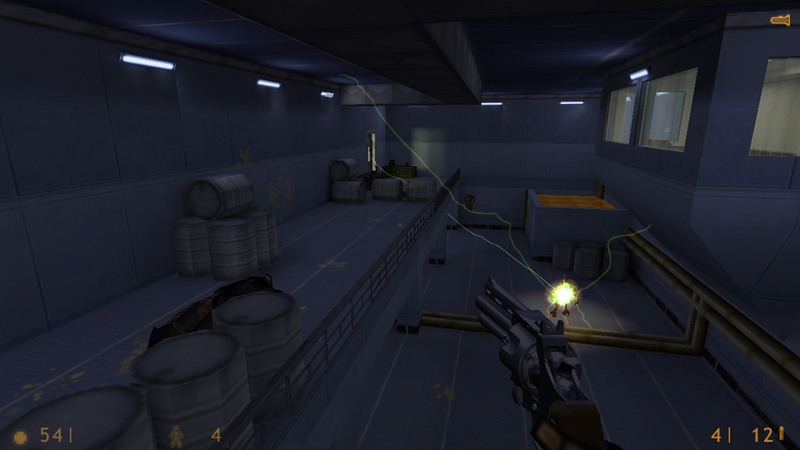 But I felt that this level is less interesting than Derailed: it had interesting progression, puzzle. 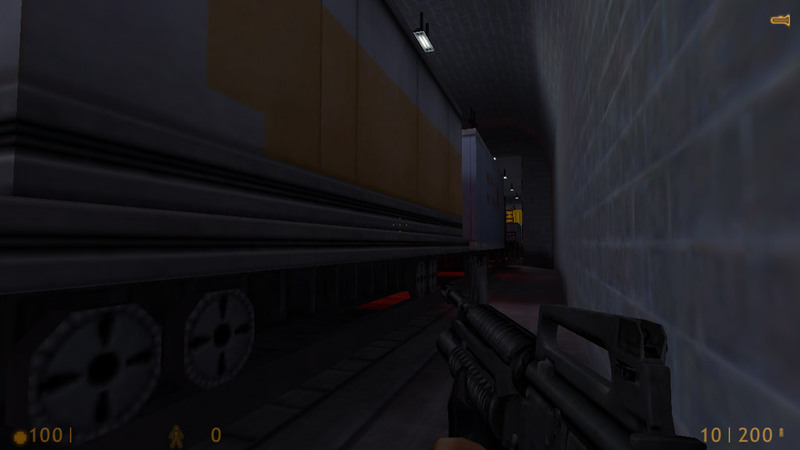 Here we just go forward in the monotonous tunnel, fighting back enemies. It’s possible to swim in the locomotive’s ray of light. Then we will go through offices, labs. The design is mixed: sometimes good, sometimes isn’t. Good enemy placement. The battles are not very hard: we have enough ammo, health, energy, and soldiers who attack us never use contact grenades. There are some original ideas: running and screaming workers, X-ray, zombie sitting on the floor. But I wasn’t excited when playing, so I don’t recommend to expect something special. Well, well I didn’t need my rose tinted glasses afterall, I enjoyed this as much this time as all those years ago when I first played it! The only problem for me, was that I remembered this one pretty clearly and the routes to take, which made it a bit easier this time round. The look and feel, like DAV Pack 1 is standard HL/BM and the combat/ammo/health worked for me. In this one I think I used the .357 far more than than other maps/mods where it was included, as it was useful for the distance shots, but I would have liked the crossbow as well. 1) It was memorable after such a long time. 2) I enjoyed playing this time as much as I did the first time. I hope DAV Sub is as good as I remember! Anything by DAV is worth playing. I’m a big fan of his work, long before Azure Sheep and Point of View. An improvement over DAV’s first pack. There’s some good setpieces, decent battles, and pretty good use of short sequences. However, still missing are a good feeling of atmosphere, and a feeling of why you’re there and what you’re doing there, which overall kind of leaves you empty after playing this one. Again, the highlight is the combat. You start out with a couple sections of the titular train, which is well done but static in that it’s just stationary and only moderately feels like a train consist. Building up to a sequence in motion on the rails would have been a nice addition (although certainly not trivial from the designer’s standpoint in the HL engine). It’s at least not a gruntfest, and this time there is a minimum of mounted guns to contend with thankfully. It offers a lot less challenge than DAV’s first pack, though, since you can avoid some of the battles (including the Garg). The other disappointment is that there’s no real buildup to the end – you basically watch the finale battle from afar, then you’re given the RPG, and then you gun down a couple aliens right at the end without ever needing the rockets. It’s the definition of anticlimactic. This is also a fun enough romp if you’re only looking for combat. It’s decently mapped technically but lacks feeling. This was a fun, short, but reasonably difficult mod. 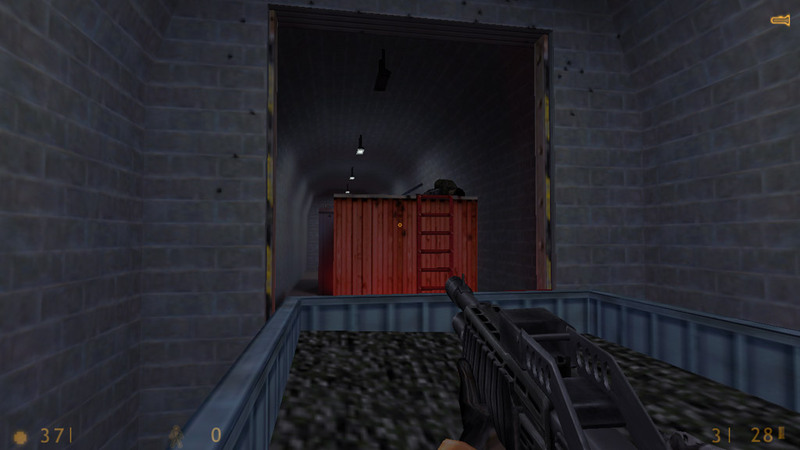 I liked the maps, actually, they were fairly basic but well designed. Getting a look at where you’re headed beforehand on several areas was nice. I completely didn’t even bother fighting the big garg, it got hooked up by the truck in the middle of the road area, and I just kept running. I think that’s what I’d do in real life anyway 🙂 Why engage something when there’s a perfectly good airplane waiting to take you away? All in all, fun to play, well-executed, but nothing remarkably great to write about either. This is a pretty good set of 7 maps, but of course I thought the beginning (train) was the best looking of the lot. The other areas (office, warehouse, etc.) seemed pretty average looking. In terms of gameplay, the train area also seemed the best designed and, not surprisingly, the hardest part of the whole experience. The train was the hardest part due to not having much room to maneuvre, especially when tubes come flyin” your way. However, the next 6 maps are much easier. The garg was no problemo, just spam all your grenades in there. Also interesting to note is the connectivity. 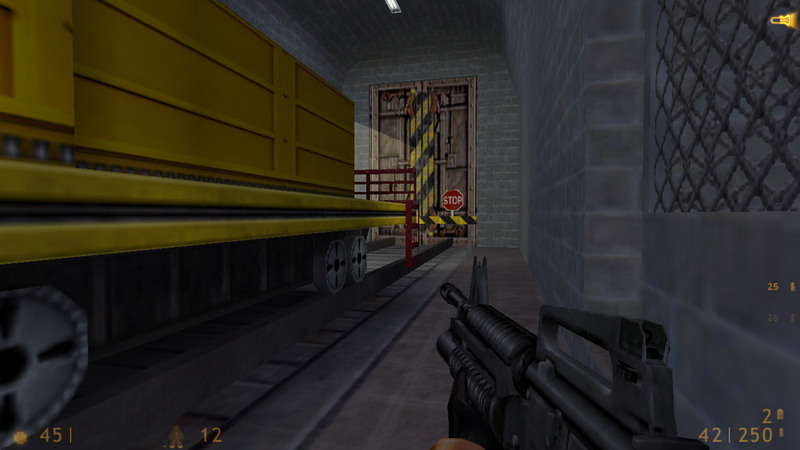 The office and warehouse areas are connected in two ways so that alert players can use the second, shorter way to better get through the levels. So puzzle-wise, this mappack does well too. Overall, the maps are pretty good in mapping and gameplay, though it isn’t especially interesting. And, about that RPG at the end, I think it’s supposed to be used for the apache that will be coming after you in DAV sub, but too bad you don’t get to use it for that purpose. Instead said apache will shoot you down, and then you’ll be in for another adventure. Is the same logic of DAVPAK1, thats it: reach the Osprey and get outta there, the Train design and the wagons on it are a cool concept, battles just fit perfect on the maps and layout, textures and general design it feels so DAV, which is the sign of how some authors are distinguished by their “own” mapping-texture style, this time I had no bugs at all and it was ok, the story is quite simple buut the trip is enjoyable. Yep that’s all ando now im gonna try DAV SUB. A pretty challenging but relatively short mod. I had played this one a few years back, but I didn’t really enjoy it then. When I tried it this time however it was much more fun. It starts out pretty boring but starts getting good around halfway through. The combat in the mod is quite hard, especially near the end, which is a nice change from the easy ones we’ve had recently in the 100SDoN. 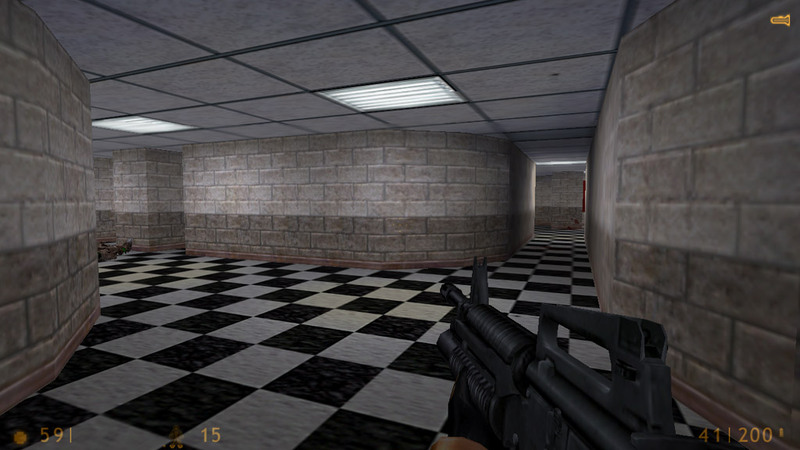 It seems non linear at first but you end up going in all of the areas anyway, like Castle Creep and Smart Decoy. It’s only about 20-30 minutes long but it’s fun nevertheless. Worth playing if you want a quick mod. 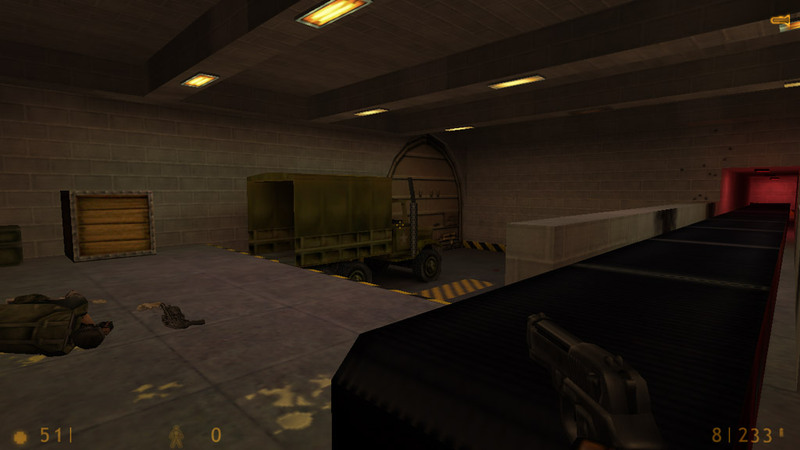 Compared to “DAVpack” this minimod (7 maps) is better in every “discipline” such as leveldesign, balancing, atmosphere, puzzles etc. But it’s also very similar to the pack. So just don’t expect too much, it still is typical DAV-style if you know what I mean. There’s quite lot of variation in mapping so it doesn’t get boring, there are also more details and scripted events here, but I’d say it’s also still average. About the story: after refusing Gman’s offer you’re being imprisoned by him to be transported to a facility in a train as suddenly aliens invade it. 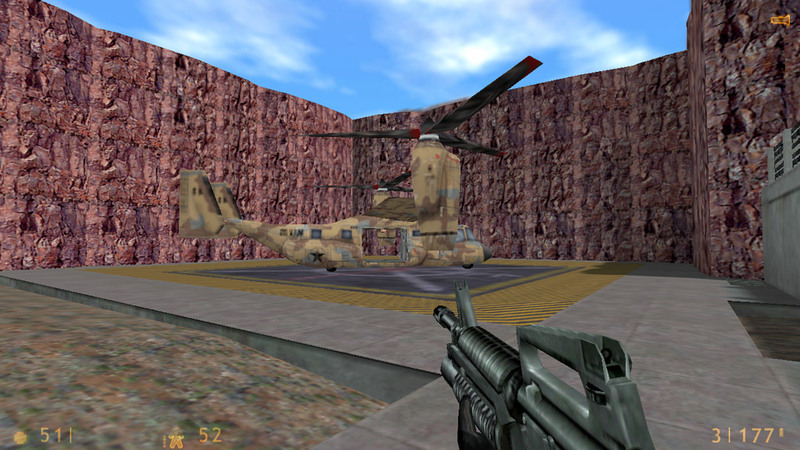 Your task is to escape and find the Osprey helicopter to finally flee the complex.. Yet again, the combat saves it. As the story is again neglectable and the puzzles are rare and easy. 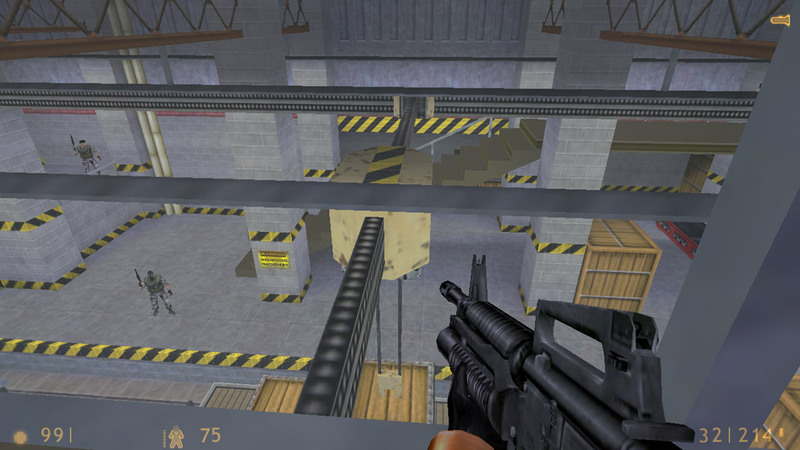 Therefore, it’s made for combatlovers only – if you want puzzles or a real story, check out some other mods.. The beginning was definitely unfair (no hev suit you vs. several grunts with no cover) but other than that, this is an (as usual) above avg. 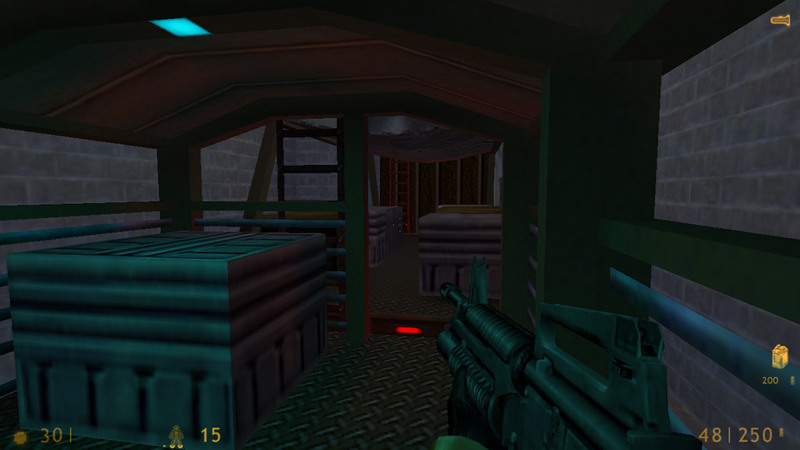 mod from Dav Levels. 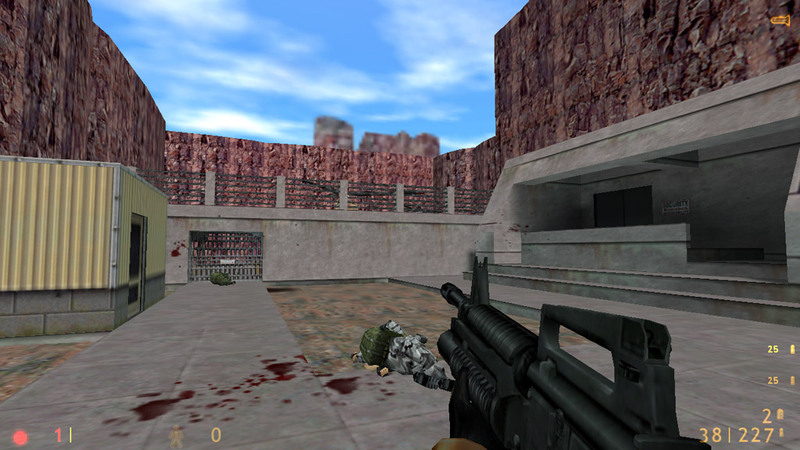 If you read my previous review of DAV HL Pack 1, you’re familiar with this map’s style. 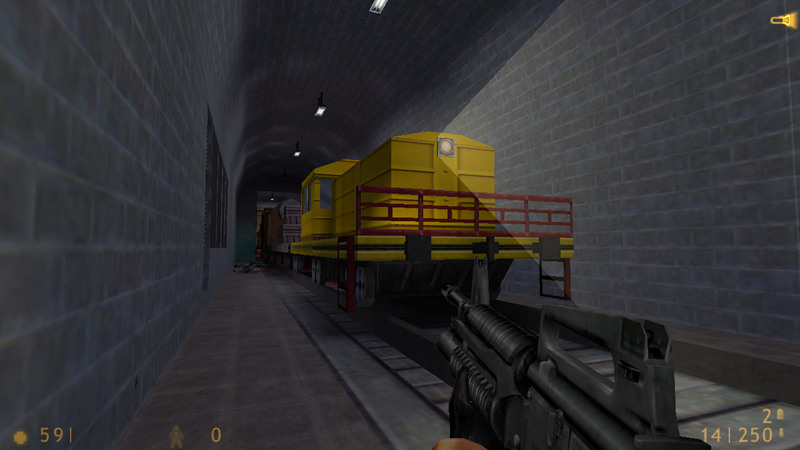 Like DAV’s previous works, DAV Train is a relatively short, intense map pack. The story is very basic, and your mission is straightforward. The trick is getting to the end in one piece. 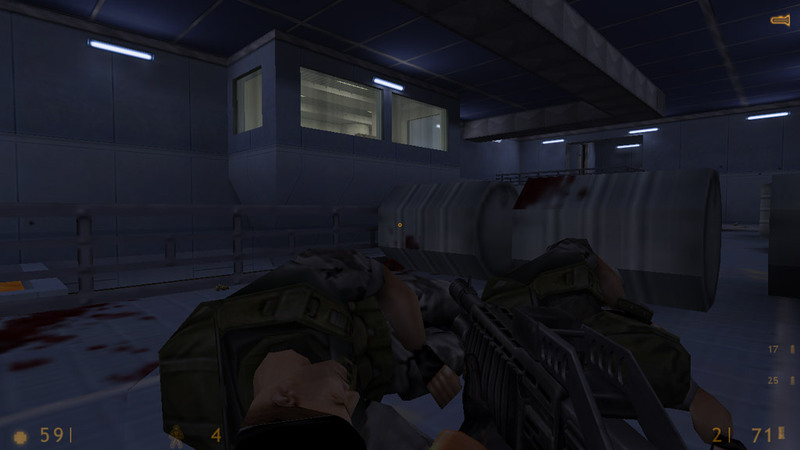 This time, however, it’s not quite the grunt fest that DAV’s first HL map was – there is a good mix of enemies here. 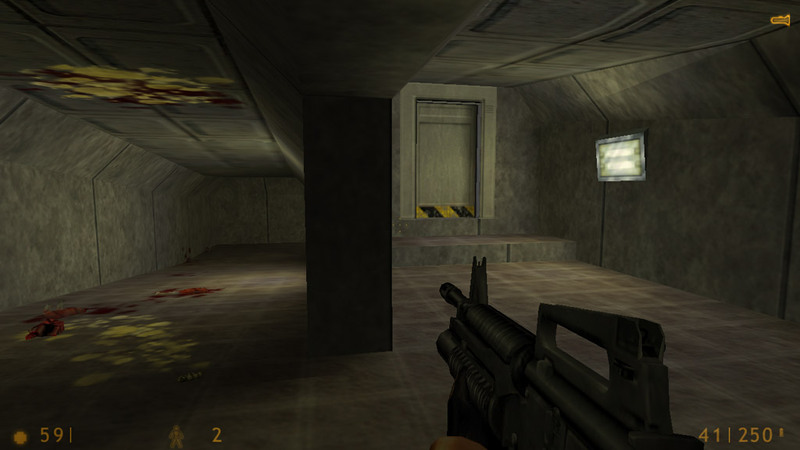 And it looks like DAV’s comfort with Half-Life editing is growing — there are a few scripted sequences mixed in this time, which are well done and interesting to watch. 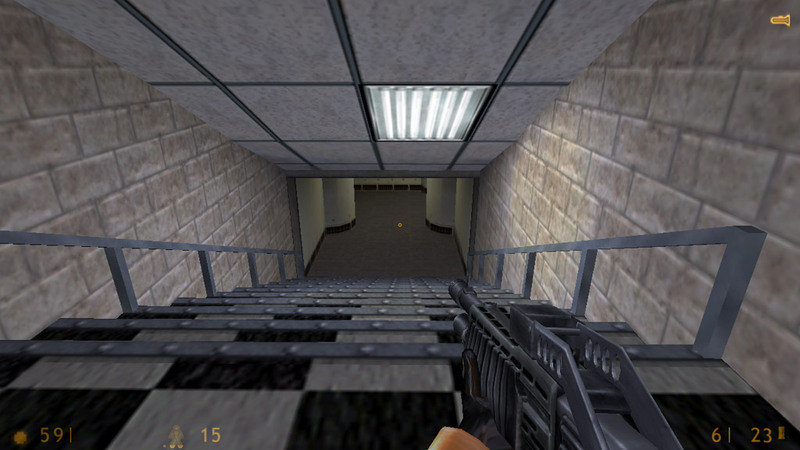 The architecture is fairly well done and the maps were very playable — there is only one section I can remember where the r_speeds get a bit high, but not enough to cause problems. And because the episode is spread out over 7 maps, the load times are small and the overall level flows well. This review is republished here by permission and was originally published Saturday, 19th August, 2000 by Unquenque. This was a pretty good, but difficult mod. 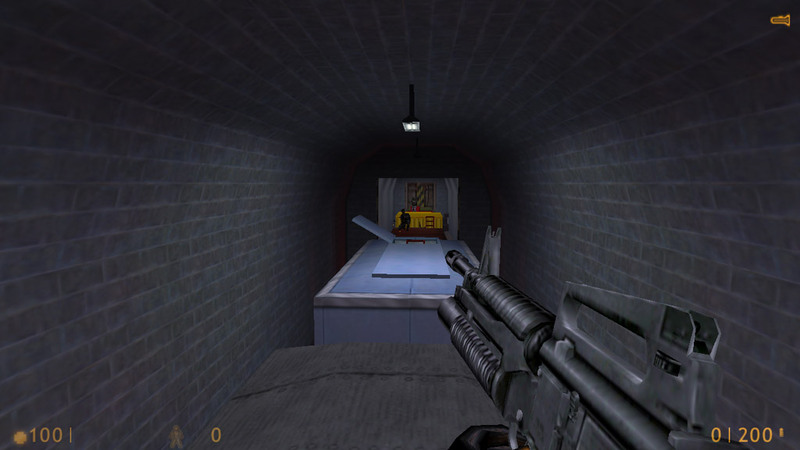 The story begins from the alternate ending on Half-Life where instead of getting killed, he arrests you into the DAV Train, where you will be transported to a base. So, you have to get to the Osprey before you die. The mod was really difficult imo. 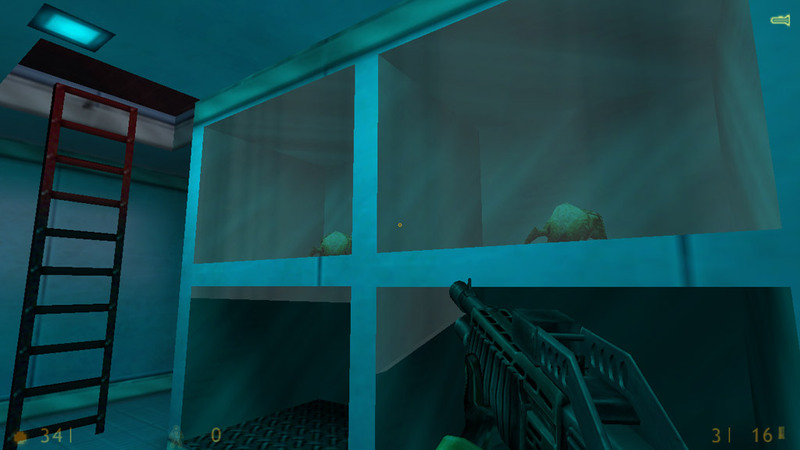 Grunts coming from everywhere, aliens popping out of nowhere, it gets really difficult. The gargantua at the end was stuck to a car, and couldn’t move. 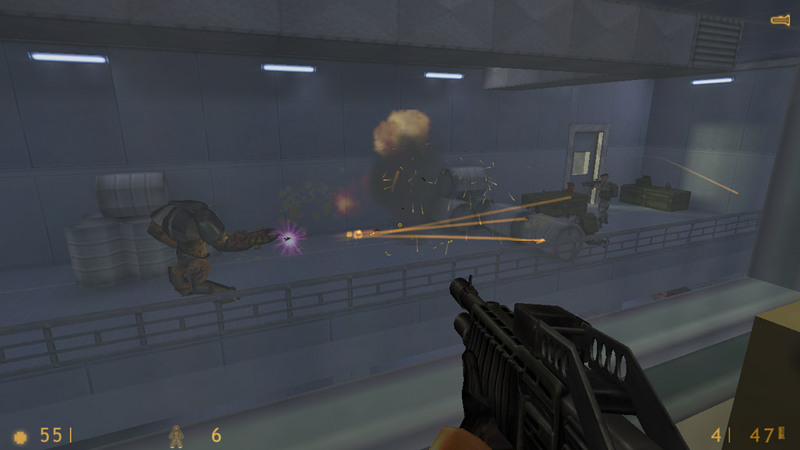 I didn’t use the rocket launcher nor the automated guns. Overall, this is a pretty good mod. Recommended for really good players.